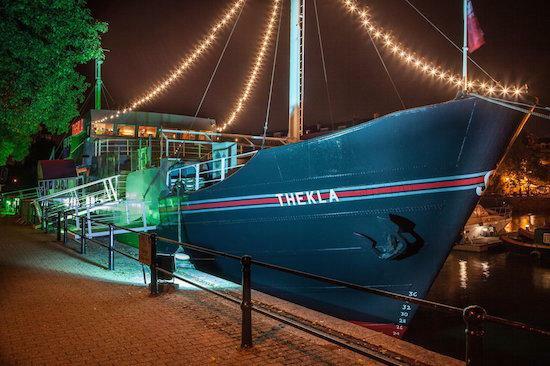 Bristol City Council has approved a plan to build property close to music venue Thekla. The development, which also includes plans for office and retail space, was signed off last night at a meeting of the council's Planning Committee by a ten to one majority. The property will be built just 150 metres from Thekla, a converted ship which is used as a nightclub and gig venue. "We are disappointed that despite our compelling arguments for a deferral of this decision until a suitable and sufficient noise survey can be conducted, this development in its current proposal is going forward," said a statement released by Thekla following the decision to give the plans the go ahead. "We appeal to the developer to keep to the promise they made in this hearing to work with us on a new noise survey and then liaise with us on improved sound insulation scheme to protect Thekla and their future residents against noise problems." Julie Tippins and Alex Black, representing Thekla at last night's meeting, raised concerns that noise complaints from residents of the development could be used against the venue in the future. 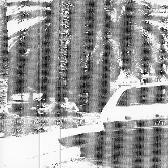 As The Bristol Post reports, Tippins argued that the sound assessment carried out by developers was inadequate as it was done when the venue was half full and therefore not at its loudest. She argued that the flats soundproofing might therefore be insufficient. The club's statement continues: "We expect the Council to follow up on the assurances they gave to Councillors to only give the go ahead once they were satisfied that Thekla would be protected from future noise complaints from residents of the development. "This is certainly not the end of the fight to protect the Thekla as we have to ensure that all parties keep to the commitments made this evening. We urge our supporters to contact their local Councillors and MPs to ensure the Council does all it can to protect our venue's future."